I’m fortunate to be able to review about a half-dozen of the industry’s best belay jackets each winter. Chances are from December to April I’m spending 5-6 days a week climbing frozen waterfalls or teaching avalanche courses up on notoriously cold Mount Washington. This gives me a lot of field time to put these jackets through the ringer and form some opinions which I am happy to share with you to help you navigate the myriad of choices out there! A month or so ago a fellow guide introduced me to BightGear, a new brand born under the prestigious umbrella of Cascades based Whittaker Mountaineering. At its core this brand is an authentic “Guide Designed & Tested” label. Before a product is even released it must be tested for over 100k of vertical climbing. 2016 – Over 1.2 Million vertical feet of wear testing by our guide team of primary fabrics used in 76 sample prototypes to build 19 different styles. 2017 – Reached over 48 million vertical feet of wear testing and use of 143 prototypes by our team of 60+ guides, and thousands of RMI climbers on Mt. Rainier. 2018 – On target to reach over 100 million vertical feet of testing with the launch of the Bight Test program on mountains and outdoor playgrounds around the world. Pretty cool right? Having learned all this I was more than happy to receive the BightGear Caldera Down Parka for a demo. After a month of testing in a variety of conditions I feel I can fairly share my opinion on this piece. In the realm of down insulated belay parkas the Caldera easily competes with the best in class options out there! Let’s start with the most noticeable then finish with the minutiae. BightGear stuffed this parka with over 6 ounces of 850 fill power HyperDRY™ Goose Down. That’s a lot of high loft quality down, and the result is a parka that feels like a nice sleeping bag for your torso. By using more I-beam baffles in the construction of the parka (vs sewn through) BightGear completely eliminates cold-spots. The arms and hood feel just as lofty as the torso which I prefer in this “over all” type parka. I’ve worn this over my other layers down to -16 Fahrenheit while demoing snow pits at 4,400 feet on Mount Washington. Even after an hour of standing relatively still while teaching the basics of snow-pack evaluation I was kept toasty. The BightGear Caldera uses a silky 20D nylon rip-stop with a Durable Water Repellent (DWR) finish. Most of the days I tested the parka were in temperatures well below those where I would encounter any liquid precipitation. I did expose it to a rather drippy ice climb a couple weeks ago and noticed water beads off as expected with a DWR finish. I also wore it over a soaked soft-shell jacket following a deluge of an ice climb and it dried me out quite quickly without feeling like it absorbed to much of the moisture. I’ve become a huge fan of the DWR treated down used in this parka as I believe regular down would quickly become a wet lump of non-insulating feathers under similar conditions. How Light and Pack-able Is It? BightGear lists the weight of a size large at 646 grams (22.8 ounces). My home scale weighed my large in at 640 grams (22.6 ounces). This is within an ounce of other similar style/priced options. It easily stuffs into my Hyperlight Mountain Gear waterproof stuff sack and if packing space is at a real premium I can use my extra small compression stuff sack to get this down to the size of a 32 ounce water bottle! BightGear included a lot design choices to further make the Caldera one of the best down parkas I’ve ever tested. The hood fits perfectly over my climbing helmet and is well stuffed with down making it a comfortable place to retreat in the harshest conditions. The brushed tricot lining on the inside collar is super cozy when in “full turtle” mode. This same lining is in the well positioned hand warming front pockets. Articulated elbows make this jacket fit great over my other layers and the PowerStretch cuffs seal out cold and snow while playing in deep snow. There are also two stretchy inside stash pockets that can hold gloves or a water bottle. It is clear that the BightGear Caldera Parka was designed by working mountain guides. It has everything you want in a big down “puffy” and nothing you don’t want. Of all the down parkas I have tested this one stands out as a top-pick for many reasons, not the least of which is the “half-sleeping bag” type feeling you get when you slip this on over your other layers. If you are looking to upgrade your belay jacket this one would be an excellent choice! 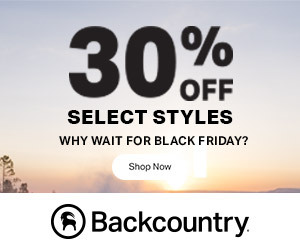 Essentially a nice puffy down “sleeping bag for your torso”… with the right layers and a bivy sack this is a great option for a bivy sleep system. I am super excited to be able to offer my readers a 30% off discount on ANY thing from BightGear’s Website! While I can not post the code publicly here all you need to do is shoot me a DM through Instagram, a PM through Facebook, or go old school and shoot me an email at nealpinestart@gmail.com! This discount is only good until April 1st, 2019 so don’t delay! A media sample was provided for purpose of review. Got my first swings in of the season today up in Crawford Notch and by all accounts it was damn good swinging for mid-November! Things are coming along great and we got more cold temps and up to 11 inches of snow coming to the higher summits in the next 24 hours! All pics courtesy of Alexandra Roberts. Elephant Head Gully is forming fast but what about that new fence huh? Hoping Mother Nature overcomes that obstacle as it will be a shame to lose such a great roadside quickie. The little gully to the right though might see more traffic now that it is not concealed by trees though! The Flume & Silver Cascade have lots of mushroom ice and flowing water… might be tricky trying to stay dry in there… and the new snow coming will likely conceal less than solid parts of those brooks. Use caution! Cinema Gully and the numbered gullies are forming fast for this early… and evidence of avalanches on Cinema was easily seen from the road. We had quite a few climbers triggered avalanches in Hitchcock Gully early season last year… heads up! Willey’s Slide looked thin but forming. Over at Frankenstein things are looking pretty good. The south face routes are coming along great (but they never last do they). Smear was the best looking thing in the Amphitheater… but everything in there will need some more time. My partner noticed Angel Cakes was looking like it was almost touching down! Might have to walk up there in a few weeks! Standard Route was our objective and it served up some great plastic wet early season swinging! Consider a hard shell! We took the center line, stopped in the cave and chopped out the pin anchor under a few inches of ice, the two more pitches to the top. 13 cm screws didn’t bottom out the whole way. It’s wet though… still lots of running water (that’s a good thing). First climb of the season in the bag! Dracula looked a bit chandelier down low and the top out looked a bit sketch to me as we walked above… expect un-bonded ice and non-frozen turf shots on that puppy for another week or so. No thanks, I’ll wait. Welcome to the Machine forming nice for this time of year! Hanging Gardens is off to a nice start but nothing touching down yet, and the practice slab next to it is looking do-able but thin. Well that’s it! My ice season has started a couple weeks after my ski season this year… I don’t remember the last time I had more ski days in then ice days in November! Fingers crossed but I think this winter will be banger! Here’s a quick video hash I threw together to share some stoke!